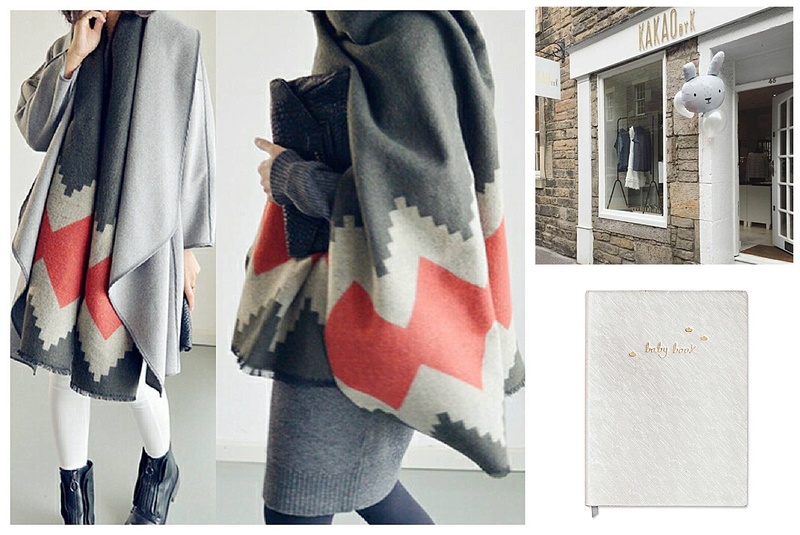 This weekend is Small Business Saturday and as a small business owner myself I wanted to take the opportunity to highlight some of the amazing local independent retailers we have around the city of Edinburgh. 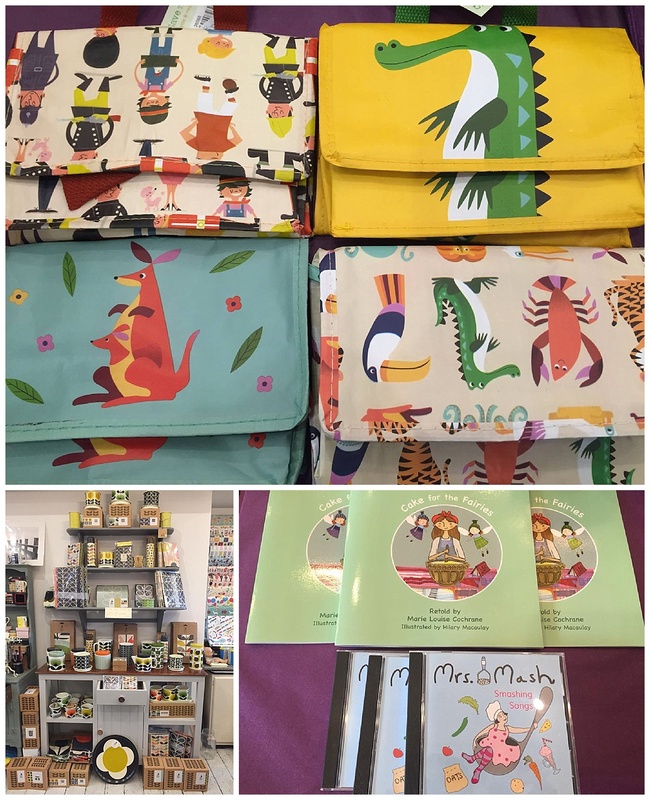 I always like to shop locally for birthdays and Christmas gifts and wanted to share with you some of the suppliers and shops that I know first hand provide beautiful products and great quality, ideal for Christmas gifts for your children and family members. It may even give you some inspiration for a wish list to pass on to family and friends who would like to buy for your family. Having a 1 year old and a 9 year old its not often I get the chance to wander around the city to find gorgeous goodies but when I do it’s great to know there are so many amazing independent retailers to visit and browse all their gorgeous wares! Here are my favourites from Marchmont to Barnton to Stockbridge and Portobello as well as online local businesses you can browse from the comfort of your own home. I have personally selected each business as I know first hand that their products are excellent quality and genuinely loved by my family. Opened by the lovely Sara in the heart of Marchmont, The Edinburgh Baby Company offer everything mum, dad, bump and baby could want or need. Everything from baby clothing to nursery furniture, maternity wear to baby skin care – and much, much more. Everything is organic and everything in the shop was selected with great care. Sara hand selects every range she stocks so can help with finding the perfect buggy, sling, sleeping bag or nursery bag. Perfect for parents or those who wish to buy a beautiful gift for a friends little one. My favourites: The Little Green Radicals gift sets are LUSH! I adore this range and want every.single.thing! The puppet company story sets make a gorgeous gift and as soon as you walk into the shop you will be greeted with a gorgeous scent thanks to their very affordable aroma diffusers, a steal at only £24.95! If you are a Frugi clothes lover like me then you need to know about Pippin! 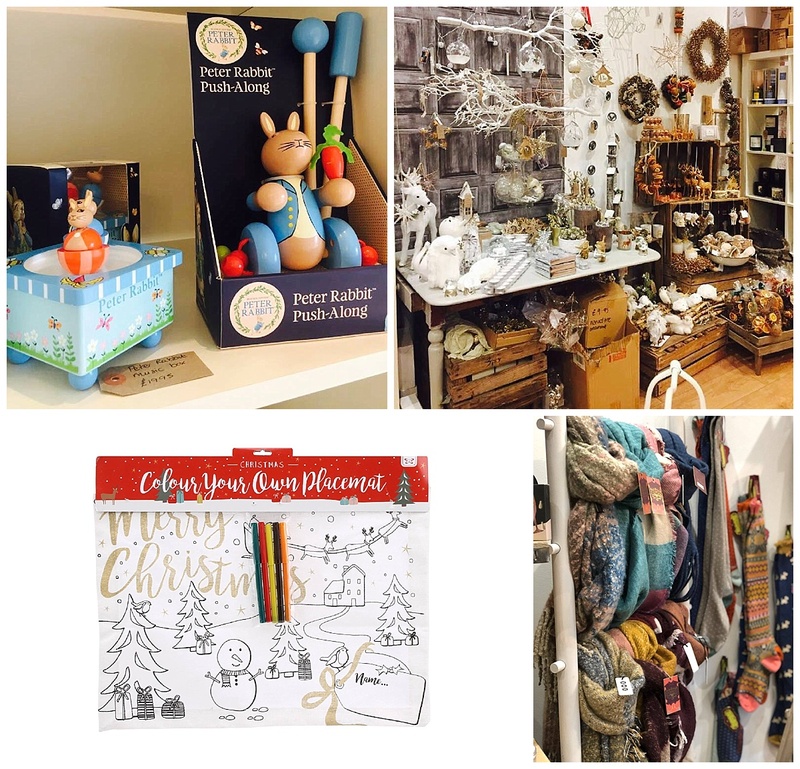 Pippin is an independent gift boutique located opposite Haymarket station. They stock a wide range of gifts and cards for all the family, all designed in the UK. With a great selection for babies and toddlers, including organic cotton clothing (up to 18months) from Frugi, Piccalilly and Toby Tiger, leather baby shoes from Inch Blue, teething bibs from Cheeky Chompers, Num Num teething necklaces, and tweed slippers handmade in Scotland by Tartan Butterfly. They also stock a wide range of adorable soft toys by Jellycat (impossible to resist!) and a number of beautifully illustrated storybooks (including Maggie’s Mittens by Edinburgh local Coo Clayton). My favourites? 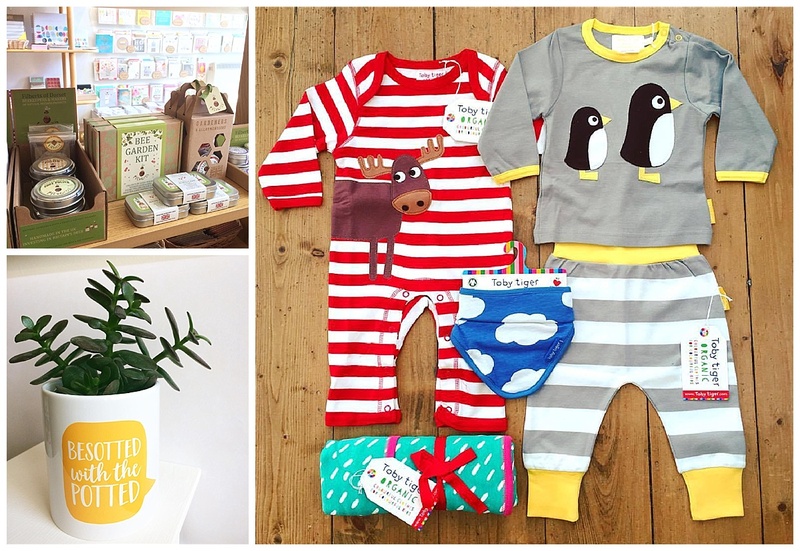 The Toby Tiger organic baby clothes (swoon!) quirky plant pot (my 2017 obsession has been pot plants!) and Bee garden kit, perfect for toddlers who love bugs and wildlife! Precious Piccolo specialises in stylish, traditional baby wear, primarily from Spain, for boys and girls from birth to 2 years. In addition, the boutique stocks nursery furniture and accessories, and offers a nursery styling and interior design service. Located on Craiglea Drive on the border of Greenback and Morningside. My favourites: well it has to be the navy duffel coat, my heart aches imagining our Ollie and his big brother in matching ones in the woods next year when he is old enough to run around on his own! The beautiful leather shoes are adorable and I love the gorgeous super soft baby blankets. If I had a girl I would go NUTS in this shop!!!!! Located in Portobello, Cove is crammed with individual, well priced quirky gifts. They also sell Work from over 20 local artists and makers. The staff pride themselves on being friendly but not pushy and they also offer a free gift wrapping service. Brands include: Jellycat, Bath House, Humble Toiletries, Shearer Candles, Marmalade Candles, Wild&Wolf, Orla Kiely, Sass & Bell. My favourites are the gorgeously colourful and cheerful lunch bags, a steal at only £5.50! I’m a huge Orla Keilly fan too so could easily go nuts in here! 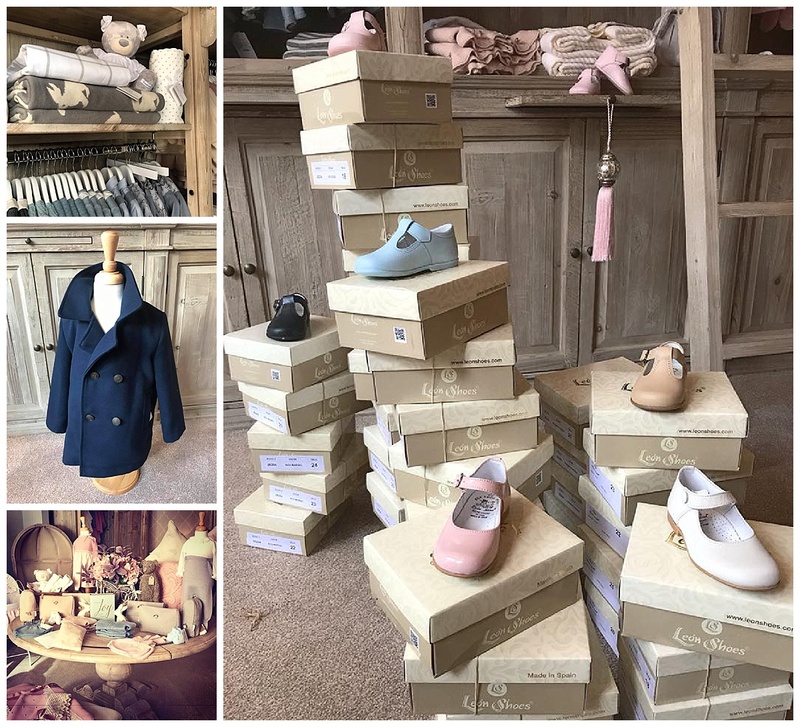 Located in the heart of Stockbridge, Treehouse Childrenswear is a one stop shop for lots of local families! Every one of their products has been specially chosen by Sophie & Kim for its quality, usefulness, uniqueness or sometimes, just because it looks so cool. The staff are all professionally trained shoe fitters to fit and measure every shape and size of foot and they offer whole and half sizes with a variety of different width fittings. My favourites: I’m a huge fan of all things fox so these gorgeous goodies from Tobias and the bear always jump out to me! Paired with some brightly coloured hunter wellies and you have one awesome toddler outfit! The recycled plastic green toy range is eco friendly and makes brilliant use of old plastic! And the milk outfit is definitely on my list for the next baby shower I attend! Located on Colinton Road at the bruntsfield/Morningside end you may well have passed Lilla and wished you had longer to look at their gorgeous window displays, I know I always do! 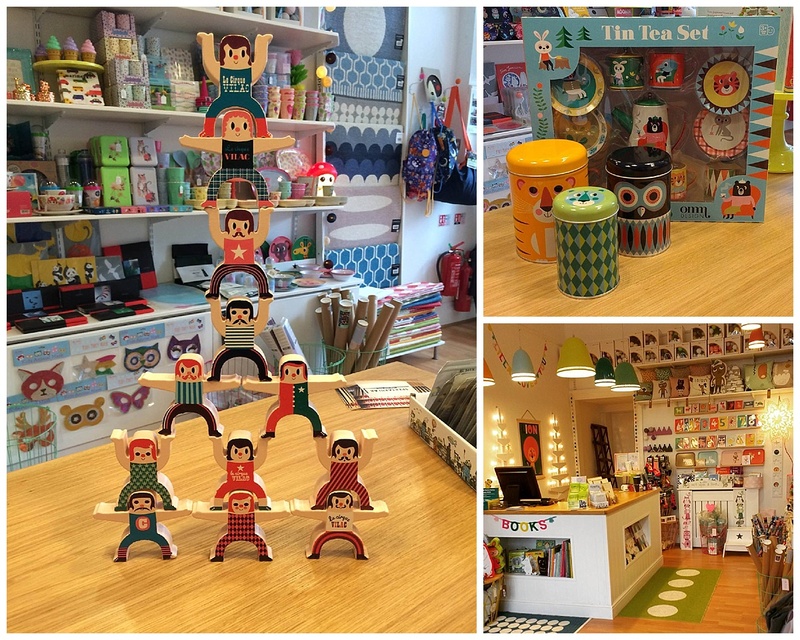 Lilla is the sister shop to much loved Holy Corner Scandi shop Spektakular, a happy and colourful childrens boutique full of scandi designed toys and gifts for little ones. Remember the Moomins? This is the shop for you – an array of enamel Muurla mugs, Arabia china mugs, flensted mobiles, maracas, bowling sets, puzzles depicting their fun and whimsical adventures. My favourites: I am slightly obsessed with wooden toys and love anything that encourages imaginative play so these stacking acrobats are right up my street and may make their way into Ollie’s stocking this year! Im also a massive fan of retro prints so the tin tea set immediately jumped out at me! The first Cloudberry was opened by Julie Pearson in Barnton in 2010, quickly becoming the place for the community to shop and meet friends. Following a successful pop-up shop in Blackhall throughout December 2014, a permanent shop opened in Blackhall in early 2015. Both venues have a gift and coffee shop. Arguably, Cloudberry boasts the best Christmas shop in Edinburgh. Crammed with traditional decorations, fun games for the dinner table and beautiful gifts, this really is a one stop shop for everything you need this Christmas. 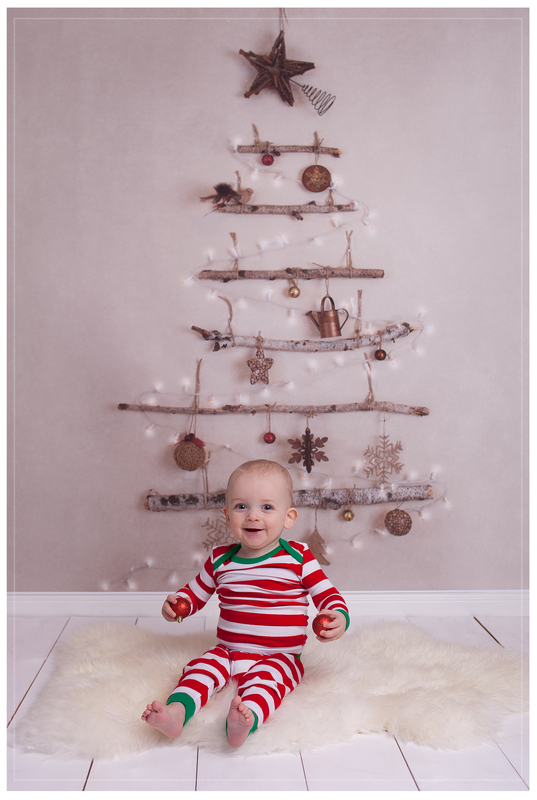 My favourites: I like to buy a new tree decoration every year so our tree evolves each year so I will definitely be taking the boys along to the Cloudberry Christmas shopping event next Thursday night to pick out some new ones! The colour in place mats are a genius way to keep the kids busy in between courses on Christmas day so I reckon we will be grabbing some of those too! Oh my goodness if you don’t already know about this gem prepare to be dazzled! THE most amazing prints, beautifully hand crafted baby and child clothing all made in Edinburgh by the mega talented Mel. Ollie has the most gorgeous cassette print hoodie and funky dino print long sleeve t-shirt that are super soft and incredibly high quality. We will definitely be adding to his collection! Perfect to buy for your own little people or for gifts the choice of fabrics is immense so you can easily find something to suit the little one you want to spoil. 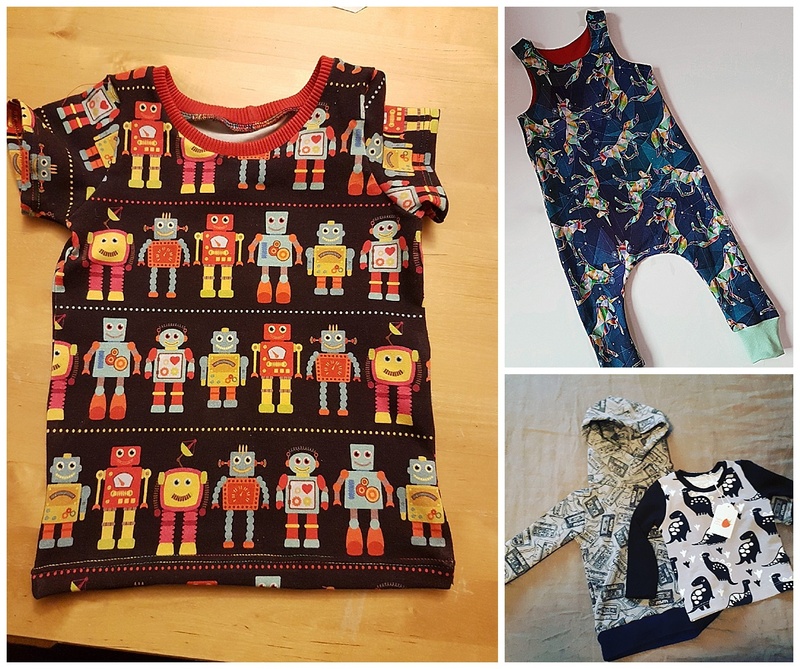 My favourites: I found it SO hard to choose from all the amazing fabrics but being a music loving family I just had to go for the cassette print for Ollie’s super soft and snuggly jumper. Also LOVE the retro dino print, robot print short sleeve tee and spangly graphic unicorn dungarees which I may have to order for my great niece! Auchineden Crafts make a lovely variety of items for babies. 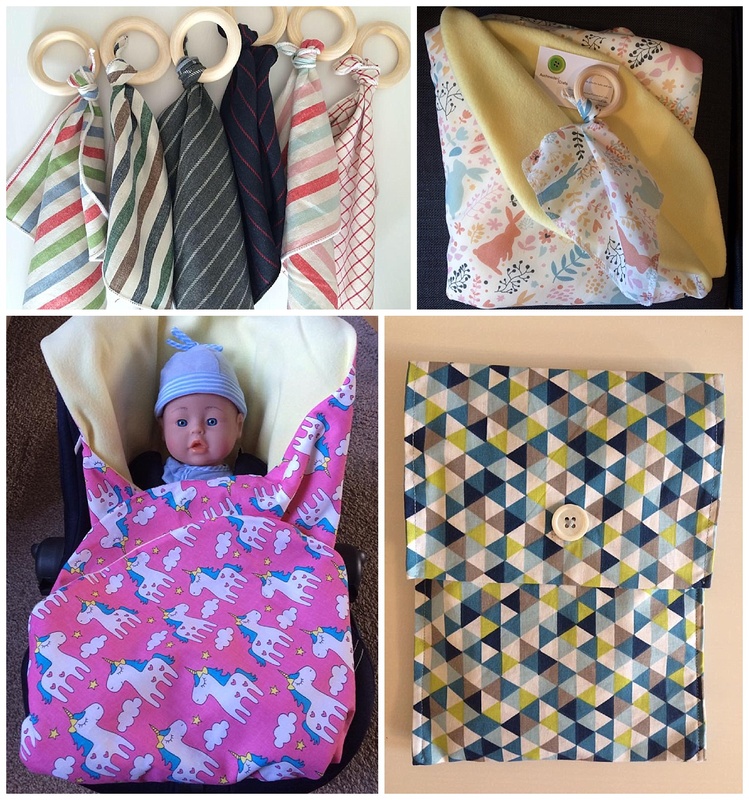 Their car seat cosy blankets are ideal for the British winter (and summer too!). They have universal slots so grow with your child and fit most group 1 & 2 car seats. They give you full access to 5 point safety harnesses and with no need for puffy snowsuits the seat belts can be fitted more tightly and securely. Auchineden also have amazing nappy wallets to bring order to your change bag. Their maple wood teethers would make great stocking stuffers. Many items are made-to-order meaning you’ll always find the perfect gift, especially delightful cross stitch embroideries. My favourites: the nappy wallets (ours is a jazzy geometric print which I love!) wooden teeters (again with the wood!) and super soft snuggly car seat blankets which are sooooooo soft! Little Letter Studio creates fun and unique personalised artwork for children and adults. Each piece is individually designed, crafted and made to order. 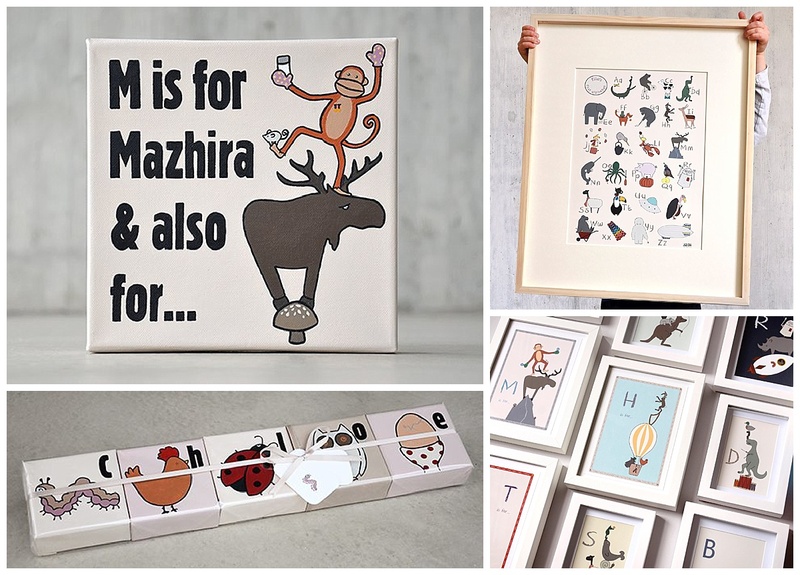 My favourites: The personalised diddy animal canvases are SOOOOOOO cute!!!! I also love the personalised Alphabet prints which would look beautiful in any nursery or playroom! 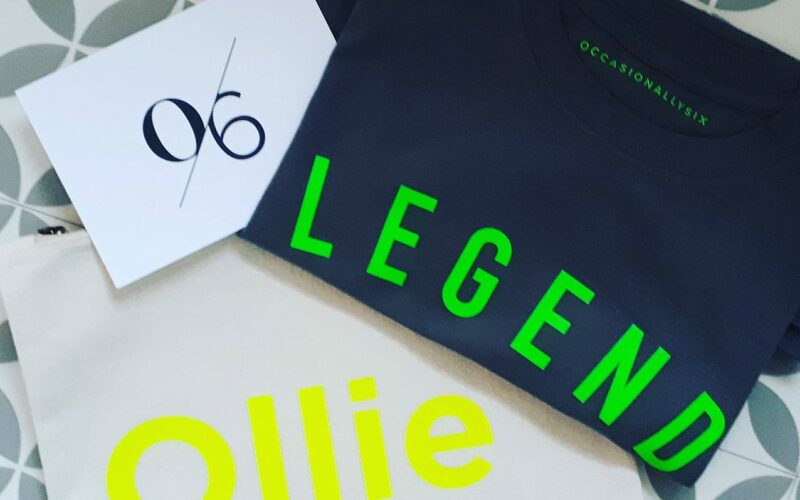 OccasionallySix are a husband and wife team that creates and collaborates on a range of clothing, accessories and gifts for the home. 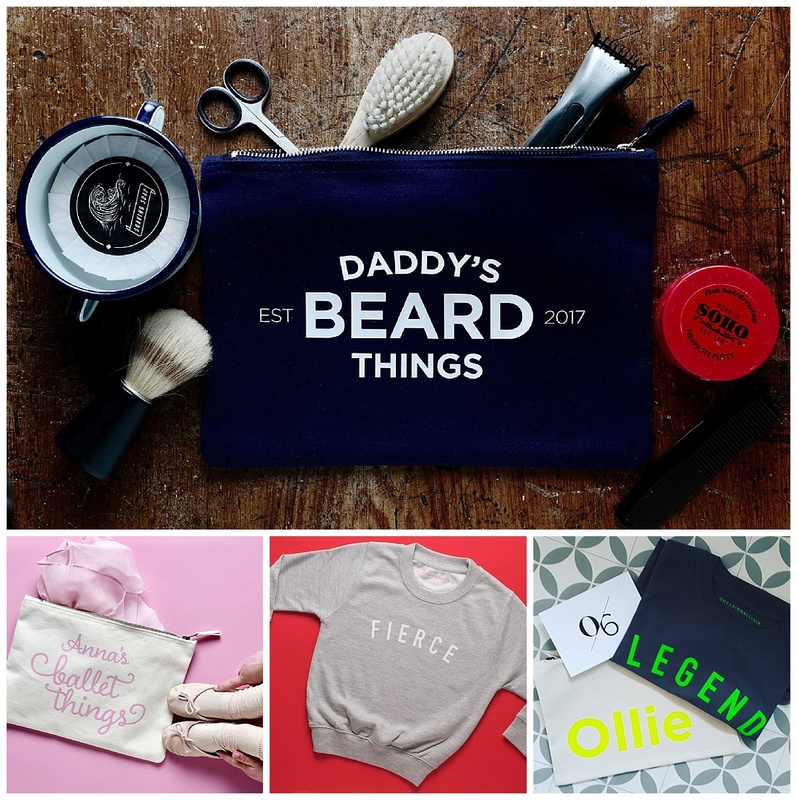 All items can be personalised to suit the recipient and their hobbies and interests, perfect for those hard to buy for teens and husbands! My favourites: Somewhat biased but I love Ollie’s toy bag and his big brother Lewis’s LEGEND t-shirt which he loves to wear while playing on his drum kit! For those beardy men in your life the zip pouches are awesome too! Louise specialise’s in capturing those nearest and dearest to you, age is no restriction & she will work with you to design the perfect treasure. 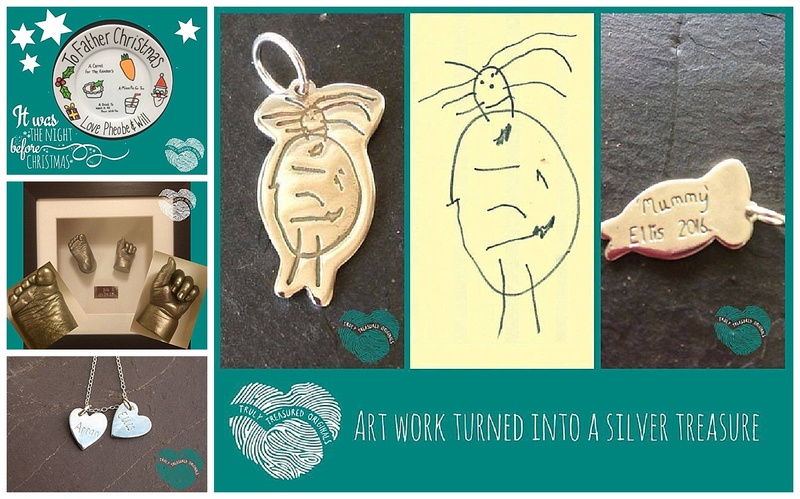 Her silver imprint range captures hands, feet or finger prints, a favourite drawing or even a paw print that can be finished as jewellery, key rings or bookmarks. With 3D body Louise casts a treasure that’s a real to life as you are. In the lead up to Christmas Louise has re-launched her popular personalised Christmas Eve plates that are the perfect place to leave Santa’s goodies! My favourites: Ollie is having his hand and foot casting done next week and I cant wait as it will be exactly a year since he first had them done as a 5 week old teeny baby! I love the kids drawings made into keyrings, perfect for parents, grandparents, aunts and uncles! The Christmas eve plate is on my wish list for this year for sure and I know loads of mums would love the fingerprint jewellery! 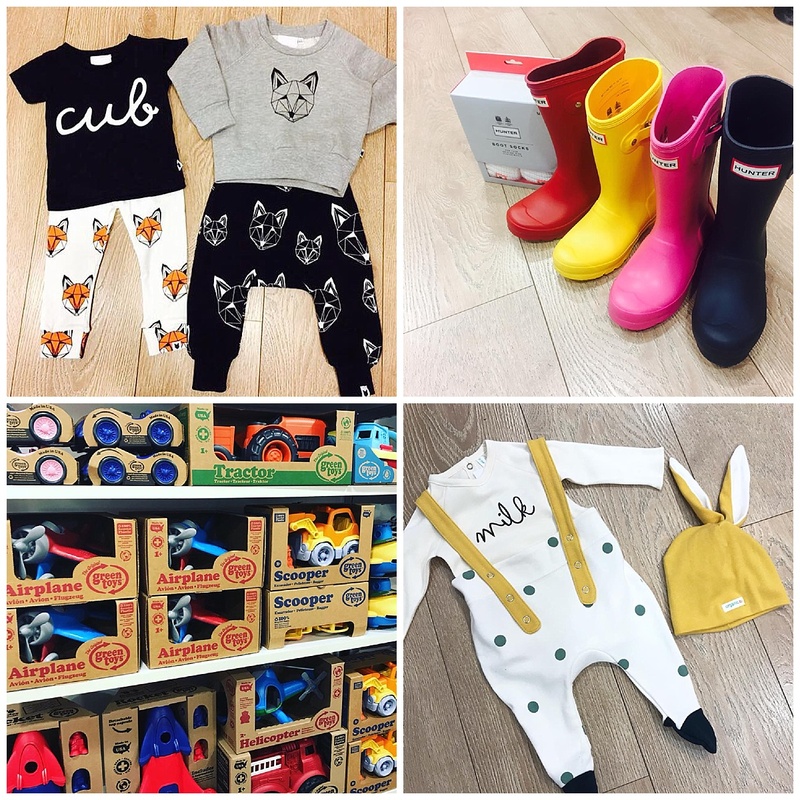 CalEli Gifts sells personalised gifts for all occasions for your family, friends and pets! All items can be personalised which for someone with a name that is often misspelt definitely appeals – as a kid I could NEVER find anything with my name on it! My favourites: My top has to be our personalised Christmas decorations we had made last year but as they are in a box of Christmas stuff in the eaves I can’t show you them! 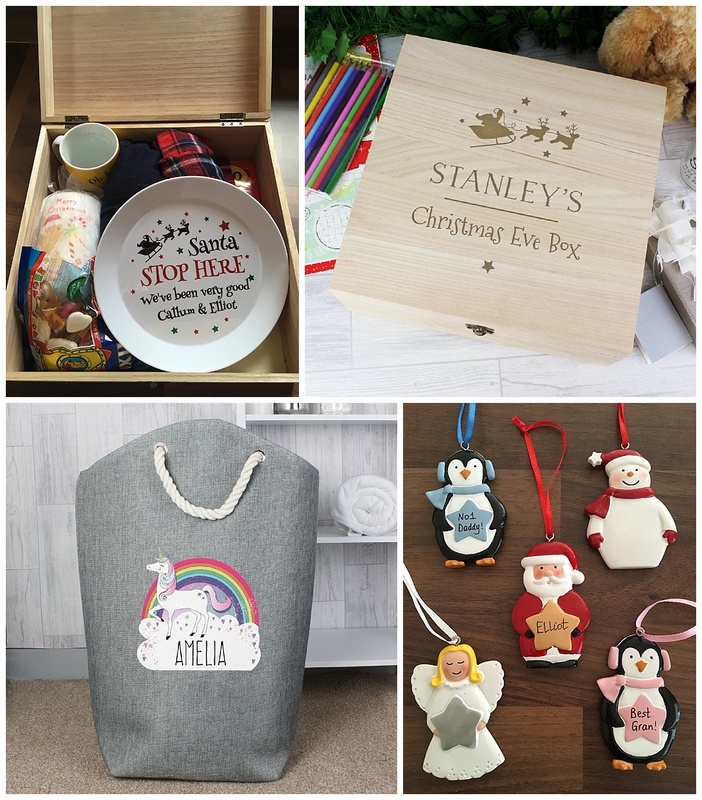 I’m also lusting after the gorgeous Christmas Eve boxes, santa plates and personalised toy storage bags which would brighten up any kids room! If you love beautiful things then we’ve got a lot in common. Kakao by K is an online boutique which serves up an exclusive and individual collection of baby accessories and ladies jewellery, all with a distinct Scandinavian flavour. They sell soft baby blankets with subtle prints, first passport holders and first baby books to fill with memories. My favourites: If there’s one thing I have more of than plants it’s scarves, Im OBSESSED! The snuggly oversized scarves and gorgeous knitwear would make any mummy happier on a cold morning school/nursery run and get a massive hint hint to hubby from me! The beautiful baby gifts in store are gorgeous and make for a perfect gift for baby’s 1st Christmas. What to buy for the family that already has everything?! Some kids already have oodles of toys and a wardrobe full of gorgeous clothes so it’s always great to know about a practical and useful option. 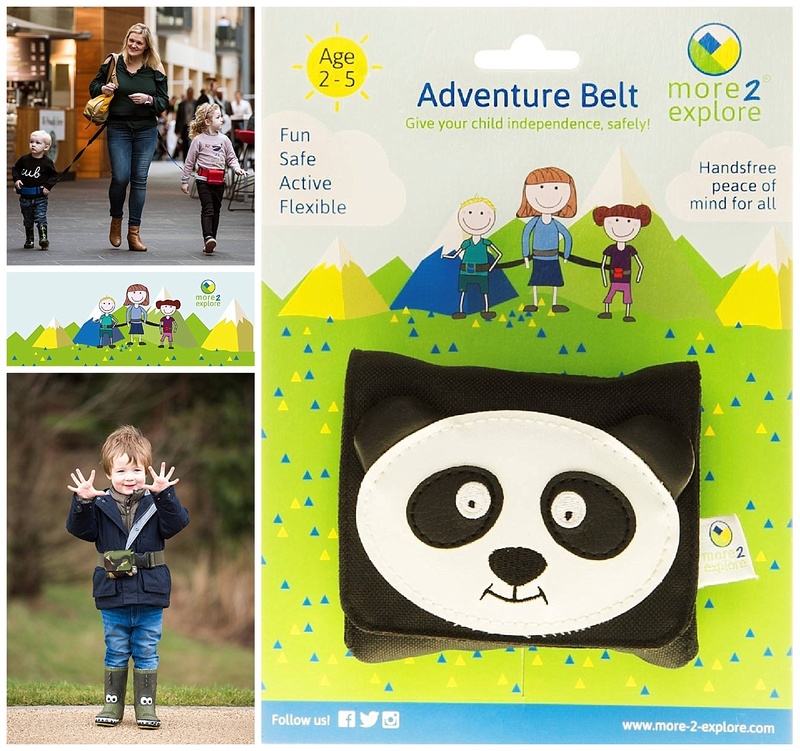 For parents of young children, the Adventure Belt from More-2-Explore keeps kids close and connected. Unlike toddler harnesses, and wrist straps, their belt is hands free, fun and maintains a child’s delicate self esteem. My favourite: the panda design is super cute and was my choice when ordering, I’m sure it will be well used alongside our zoo membership once Ollie is fully on the move! And I love that they have a twin option too for those with more than one little person. Another “practical present” option perfect for breastfeeding mums and designed by one of my lovely mums are the Infinite Mommy breastfeeding covers. Infinite Mommy are the designers of luxury breastfeeding modesty covers for mothers who like to look great and feel comfortable. Make every outing and family visit a relaxing experience with their range of exquisite covers. I know I found breastfeeding in public quite daunting but they can be that little bit easier with an Infinite Mommy cover. Beautiful colours and fabrics, they are both stylish and attractive. They are designed to be soft enough for gentle skin and encourage closeness between you and your baby. Infinite Mommy know that this time together is so short that being this close can help grow your bond a little more each day. My favourites: I love them all! 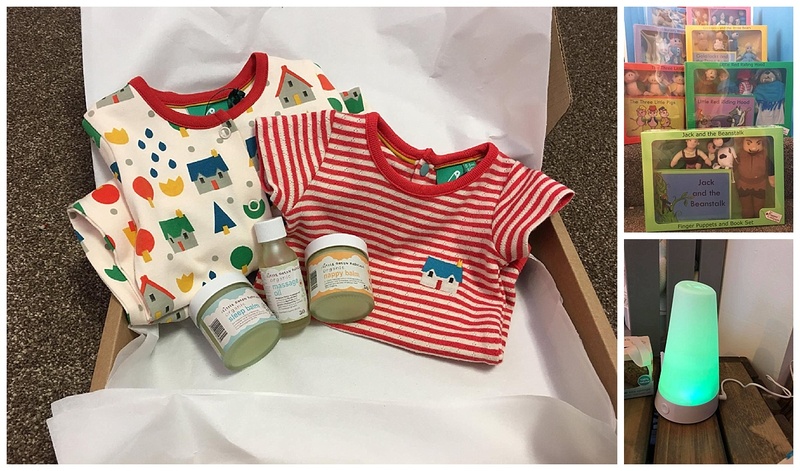 I have a sample in the studio and can vouch for the beautiful quality and packaging too, a gorgeous gift on arrival and something that would have made breastfeeding in public much less scary for me! Created by local Mum Susan who loves to make… knit, sew, crochet… She makes bespoke items to suit all budgets and occasions, just get in touch with your crafty idea! I particularly love the cross stitch pictures she does from your childs artwork. 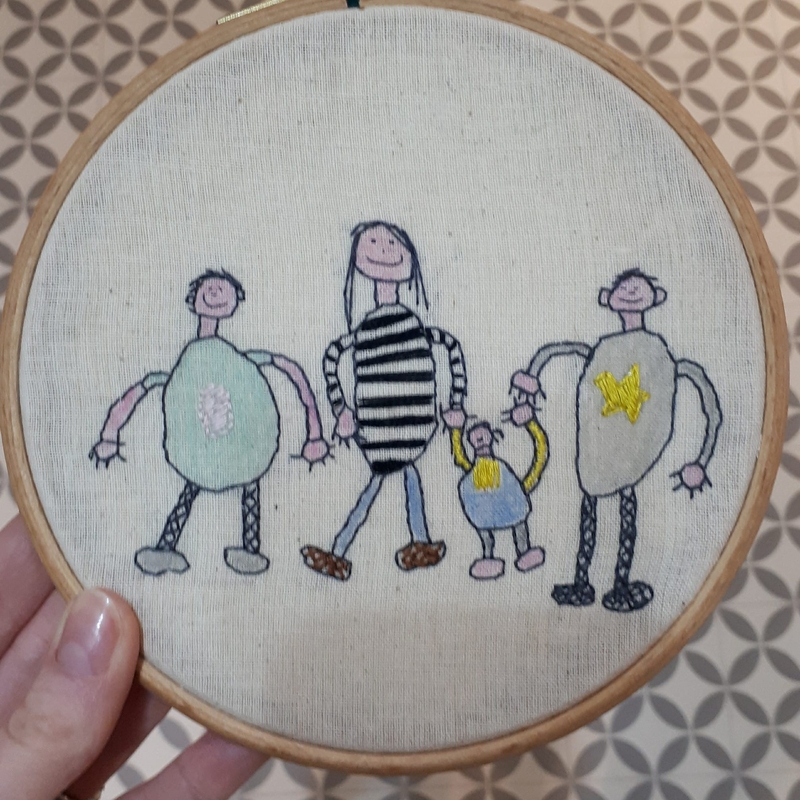 This family portrait drawn by our eldest will have pride of place on our new mixed media feature wall in our hallway, I love it!!! Check out Susan’s Facebook page for more ideas! Beautiful Bairns Gift Vouchers are another excellent option! Perfect for those difficult to buy for grandparents and a great way to update the family album. Vouchers can be personalised for an amount of your choosing. For more details and to buy yours contact me here!